Large 2 story stone house built by Jacob Hespeler. Sold to his daughter Lissie Bowlby in 1870 for $1. Sold to Andrew Simpson post master in 1877. Sold to Robert and Henry Swan merchants in 1877 who sold in 1888. Jacob Hespeler was born in Ehningen Germany in 1811, the eldest son of John George Hespeler and Anna Barbara Wick. His mother's grandfather was Count Andrassy, an Hungarian nobleman. The evidence suggests that he was twice married, first to Eliza "Lissie" Knoth (c.1835) and sometime later to Elise Diehl. He had nine children, seven of whom survived to adulthood. Little is known of Mr Hespeler's early years others than that he was educated in Nancy, France and emigrated to Canada with all but one of his nine brothers and sisters. Mr Hespeler spent a number of years working in the fur trade first in association with John Jacob Astor and then with the Hudson Bay Co. In about 1835 he decided to settle down and moved to the German community of Preston. There he opened a store with a man named Yoeste (Yost). It appears that Mr Yoeste had some difficulty with the authorities in the United States and before long Mr Hespeler was the sole owner of the business. This single store was not sufficient to satisfy Mr Hespeler's boundless energies and he soon turned his sights on some land upon which he could build a grist mill, a mill that would run in opposition to one already operated by Preston's leading family, the Erbs. Mr Hespeler located a suitable site along the Grand River near its confluence with the Speed River. The evidence suggests that Mr Hespeler neglected to purchase water rights when he obtained the mill site and after beginning to dig the race needed to bring in the water that would power the mill was forced to abandon the site. He then turned to a site on King Street where he proceeded to erect a grist mill, a stone store and a distillery. Mr Hespeler became a fairly prominent businessman in Preston and served as the Captain of the Preston Hook and Ladder Co. when it was organized in 1844. It was at about this time that Mr Hespeler decided to broaden his business activities. 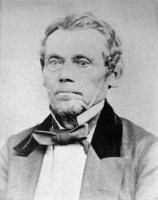 Beginning on 6 Feb 1845 he purchased a total of 145 acres fronting on the Speed River in the settlement of New Hope. Mr Hespeler replaced the existing dam on his new property with a much bigger one in keeping with his ambitious plans for the site. He began with the building of a grist mill in 1847 followed shortly thereafter by a sawmill and a cooperage. These were followed by a gas house, a distillery and, in 1861, a stone woollen mill. He also built a stone housing block known as the "Riverside Terraces" which was built to house unmarried men working in his factories. He was also a major benefactor of both the Lutheran and Roman Catholic churches in the village, assisting in the construction of each. Although Mr Hespeler was increasingly involved with his growing business concerns in New Hope, he continued to maintain close ties to Preston. He continued operating his store, mill and distillery in Preston and in 1850 started a factory that was among the first in Canada to use the new "German" or "quick" method of vinegar production. Traditionally vinegar was made by a two stage process of natural fermentation which required several months to produce a complete vinegar. The new "German" process produced vinegar in a much shorter period. Mr Hespeler's vinegar was sent to the Great Exhibition at Hyde Park in London in 1851 and met with such acceptance that he began exporting his vinegar to the English market the following year. Mr Hespeler's activities extended beyond his business concerns. He was Preston's second postmaster serving in the position from 1851 to 1859. He served on Preston's council both in 1852, when he was elected as the newly incorporated village's first Reeve, and from 1854 to 1858, the last three years of which he was once again named Reeve. In 1852 he also served as Preston's representative on the first Waterloo County provisional council. Following his service on Preston's Council, Mr Hespeler was elected to serve as the first reeve of the newly incorporated and newly named Village of Hespeler, holding the office from 1859 to 1862. The incorporation of the settlement of New Hope as the village of Hespeler was due in no small part to the efforts of Jacob Hespeler and was, in part, based on the coming of the Great Western Railway to New Hope on its route from Galt to Guelph. The presence of the railway construction crews in the vicinity of New Hope encouraged Mr Hespeler to call for a census of the settlement in 1857 hoping to find enough "residents" to qualify for incorporation under the terms of the Ontario Municipal Act of 1849. Incorporation was essential to Mr Hespeler's plans for the settlement which could then separate from the county and elect its own Council with jurisdiction over all aspects of roads and bridges and a variety of other issues, the most important being the location of industries and the ability to make provision for fire protection and public health. The census was duly taken and on 31 July 1858 the government of her majesty Queen Victoria proclaimed that the settlement of New Hope would become the incorporated Village of Hespeler effective 1 Jan 1859. In 1861, Mr Hespeler ran as a Conservative candidate for the Legislative Assembly but was defeated by the Liberal James Cowan. He was never again a candidate for parliament but he maintained an involvement in later campaigns by providing advice and assistance. It was said that few people in the riding had as much influence with the electorate as Mr Hespeler. At about the same time Mr Hespeler sold his businesses in Preston and, in 1861, built a large stone woollen mill close to his other factories on the Speed River in Hespeler. 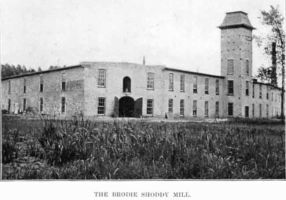 This mill was severely damaged by fire in 1869 and shortly there after Mr Hespeler moved to California. He lived there for a number of years and then returned to Hespeler where he died on 22 Mar 1881. He is buried in New Hope Cemetery. The Subscriber most respectifully informs his friends, customers the public in general, that continues business in his own name, at the old stand formerly kept by himself and partner, in the Village of Preston where he will be pleased to see and wait upon his old customers and others who may please to favor him with a call. His Goods are of the best quality, which he will sell very low for either cash, produce or the usual. credit. I hereby give Notice to those Merchants, Traders, and others with whom I have been accustomed to deal and traffic and Dealers and the public generally, that the Letter of attorney heretofore made by me, constituting and appointing Bernard Yoeste my true and lawful attorney and agent, is REVOKED, ANNULLED AND MADE VOID; and that the said, Bernard Yoeste, is no longer my attorney and agent; and that I will not be liable for, nor will I pay any debts of his contracting after this date-and I hereby forbid all and every person and persons paying unto the said Bernard Yoeste any sum and sums of money now due me or that may hereafter become due or dealing or transacting business with him on my account. N. B. I have removed my Store to my new buildings. near my Distillery I shall continue to keep a large assortment of cheap Goods, constantly on hand, and try to accommodate my customers and the public in general, as well possible. [S7] News - ON, Waterloo, Kitchener - Berliner Journal (1859-1917), 2 Dec 1886. Oct. 29, 1886 Chas. Hespeler, youngest son of the late Jakob Hespeler, died in Memphis, Tenn. at age of 31 years. [S7] News - ON, Waterloo, Kitchener - Berliner Journal (1859-1917), 19 Nov 1874. [S7] News - ON, Waterloo, Kitchener - Berliner Journal (1859-1917), 11 Apr 1861. Married 10 Apr 1861 In Hespeler, at the home of the bride's father, by Rev. E.R. Stimson, Ward Hamilton Bowlby Esq., holds a M.A. and is advocate of this paper, was married to Lissie Hespeler, oldest daughter of Jakob Hespeler, Esq. [S2303] Germany, Select Births and Baptisms, 1558-1898 - Ancestry.com, FHL Film Number: 1569112 Pg 63 22. [S20] News - ON, Waterloo, Kitchener - Berlin Telegraph (title varies: Berlin Telegraph, Berlin Daily Telegraph) (1853-1922), 7 Sep 1860. Hespeler: At Hespeler, on the 30th ult., the wife of Jacob Hespeler, Esq., of a daughter.